The NWCT welcomes Icelandic Young Professionals, Kolfinna Tómasdóttir and Andrea Gunnarsdóttir for an enlightening discussion. Join us for an evening of informal discussion over a light dinner where we will talk about how Iceland’s business culture compares America’s; How Iceland has conquered the wage and gender gaps, and what, if any, resistance Icelandic women have met along the way towards equality. The discussion will be facilitated by NWCT President Marianna Kind, and IBC’s User Experience Lead, Kendal Wilkins. Kolfinna is a Law Student studying at the University of Iceland and working at Fjárvakur – Icelandair Shared Services in financial services. She is currently a board member of Young Professional Women in Iceland (Ungar athafnakonur) as well as President and re-founder of ELSA Iceland (European Law Students‘ Association). Kolfinna also sat as a board member in the UN Women Youth Council in Iceland as Financial Manager, in Orator as International Secretary and as President of Nordiska Sekretariatet. Kolfinna is writing her Bachelor Thesis on Cyber Crime and will graduate from the University of Iceland in spring 2019. Andrea is studying Engineering Management at Reykjavík University and is currently working as Diversity & Inclusion specialist at Marel. 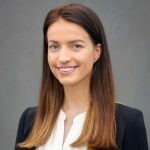 A very busy young leader, Andrea was a board member of Young Professional Women (UAK) 2016 – 2018, the President of the Student Association at Reykjavik University Innovation and Entrepreneurship committee 2017-2018, a board member in the UN Women youth council in Iceland for two years, (the second year as vice-chairman) and Andrea was on the project management team for the Golden Egg 2017, the largest business plan competition for entrepreneurs in Iceland, on behalf of Icelandic Startups. 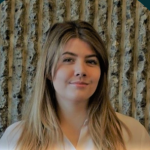 Andrea was also an intern at the United Nations Association Iceland in 2018 and is an One Young World Ambassador. You can find her LinkedIn page here. * NOTE: Because you will be in the Comcast Building after hours, you will need to provide a phone number at registration and a government issued ID at the door.